All contents in good condition, one side flap of the box is split and a tape repair has been made to strengthen one doorway piece. Vintage Operation Game - MB Games 1998. Condition is Used. 1 peg missing. Almost complete just 4 white marbles missing. Very good condition. HUNGRY HIPPOS GAME MB GAMES 2006 COMPLETE. All contents present and in very good condition, as my photos show. Taken apart to be put back in its orginal box. MB Games Connect 4 (1984) Retro Vintage Collectable BoardGame. Condition is Used. Dispatched with Royal Mail 2nd Class. KerPlunk, MB, Travel Edition. Used but Good condition. All parts present. KerPlunk, MB, Travel Edition. Used but Good condition. All parts present.. Condition is Used. Dispatched with Royal Mail 1st Class. 100% COMPLETE. IN GOOD ,USED CONDITION. Blue cards for 7-9, red cards for 10 & 11. May have minor signs of wear and tear. New listingDOWNFALL GAME 2007 BY MB GAMES *inc 2 x KEYS **100% COMPLETE IN V.G.C. THE CONTENTS HAVE BEEN CAREFULLY CHECKED AND ARE 100% COMPLETE AND STILL IN GOOD CONDITION INCLUDING THE 20 x TOKENS AND 2 x KEYS. I WILL SORT IT OUT FOR YOU. I PROMISE! Buckaroo 2011 Board Game by Hasbro Age 4 Plus Complete. Condition is Used. Collection in person only. Stay alive has all marbles, missing the foam pads. 1990s edition of Buckaroo, 100% complete. Slight wear to outer box. From a clean, smoke free home. 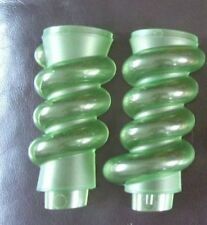 Please browse my shop for more vintage & modern toys, games, plushes, collectables and curiosities! All pre-loved plush toys are checked for rips and tears and are steam cleaned for peace of mind. We are happy to combine postage for multiple orders, saving you money and we always aim for a quick dispatch time. Have a great day and thanks for taking the time to look at our goods. Complete, F-G/VGC. Gently used and complete. Challenge Yahtzee. 1992 edition. 2-4 Players. COMPLETE in excellent condition in original box. Box has a few scuffs but otherwise vgc for age. 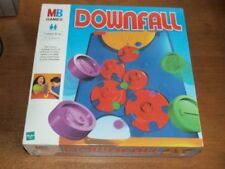 Downfall from MB Games 1977, original long box. Complete, F/VGC. Complete, F/VGC. Gently used and complete. Mouse Trap ! 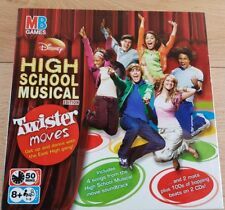 2004 Hasbro. 100% Complete & In Very Good Condition. The U.S.S. Enterprise has been hijacked by a renegade Klingon Warrior! Contents and board in Very Good Condition. Tape untested. One computer chip missing (see photo). Box has storage wear Plus one repaired Corner. Elastic band is not orginal but 100% complete everything else is orginal from 1999. Something has leaked over the instructions leaving marks which can been seen in the pictures same with inside the box, Im more than happy to take more pictures if requested, box is in good condition with no tape on it. Any questions please message me. The instruction booklet is missing. the score sliders are missing. THIS IS - GUESS WHO BOARD GAME BY MB GAMES - 2000 EDITION. IDENTIFY THE MYSTERY FACE! THE GAME IS 100% COMPLETE AND IN AN EXCELLENT CONDITION. AND INCLUDES ORIGINAL INSTRUCTIONS. THE BOX IS IN A VERY GOOD CONDITION WITH MINOR STORAGE WEAR MARKS BUT ALL CORNERS ARE INTACT. GO FOR BROKE. Picture of actual item.